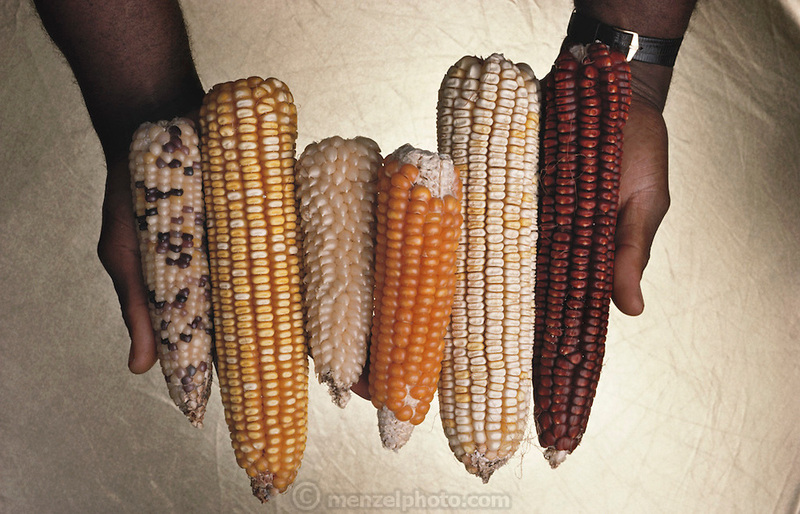 Assortment of the genetic varieties (hybrids) of corn produced for experimental cultivation. Different strains display variation in thickness, length and color of the cob, and the number of grains on the cob. Escagen Corporation, San Carlos, California. .